More than half of emails are opened on mobile devices. It has been estimated that human beings spend about twelve hours in front of screens. This puts a damper on the old forms of marketing, which constituted mostly print media and door-to-door sales representatives. It is far more effective to adapt to digital marketing. Digital marketing is far more than just a few texts every week to announce deals and new products. The business-to-business pharmaceutical community has not been left behind. Some of the 2018 trends would work great in building clientele and enhancing customer experiences. This has been a very exciting trend. This is an artificial intelligence element, which simulates conversations with human users. It has been well received so far with the chatbot market experiencing an estimated annual growth of 24%. It is a technologically forward way to keep the potential and current clients engaged, happy, informed, and satisfied. B2B pharmaceuticals face the challenge of catering to client needs on the daily. With every client firing questions as the customers pose them. It can be overwhelming to keep to the old way of phones and emails. It is also tedious to answer the same questions every other minute. Not to mention, the savings on personnel. The chatbot will be instrumental in optimizing the order and reorder process. It will also help facilitate lead nurturing. This is whereby the system is able to tell which leads are viable based on interactions with the bot. This may not seem like much but it is paramount that a business leaves room for honest feedback from the clients. More than half of the clientele read online reviews before making their online purchases. Almost 40% read the same online reviews before making in-store purchases. Reviews are a way for the clients to answer some of their burning questions. They also allow new and prospective clients insight into the work ethic of the company. Healthcare is sensitive, there is need for many stamps of approval. This is exactly what it sounds like. Large sets of data analyzed to reveal patterns, trends, and purchasing behavior. This goes hand in hand with the above digital marketing tool. Big data focuses on three key areas. The first is volume hence the word ‘big’. The second is velocity. This tool gains data quickly and analyses it just as fast. The third is variety. The vast interests alone are a lot to contend with. Machine learning is a term used in this context. The analyzed information is used to develop intelligent anticipation. This is where computer programs are able to personalize purchase suggestions. Through this, the system is also able to individualize incentives. The pharmaceutical world is fast moving. There is a new innovation every now and then. The system would which innovation to market to whom. This is useful in the sense that time and resources are saved and directed to chasing more probably leads. You have to have something to say other than just marketing spiel all the time. You need to provide useful information. The most successful companies run their blogs like a media arm of the company. Posting about interesting and new information concerning the industry. Podcasts and other forms of video reporting have been found very effective. Research says that 80% of users prefer video to text and pictures. The company website should be a go-to platform for industry news and not just when people need products. This is a descendent of ‘near me’ searches. It is estimated that ‘near me’ searches grew by 130% between 2014 and 2015. This trend has experienced further growth in the advent of hyperlocal marketing. Hyperlocal marketing is a tool that targets highly specific geographically restricted area. This goes hand in hand with search engine optimization and reviews. One company will prefer to conduct business with another closely located company as opposed to one two states over. Marketing has very clear goals. With the new digital marketing designations, the tools affect more than just the bottom line. Innovations are a pleasant unexpected surprise. 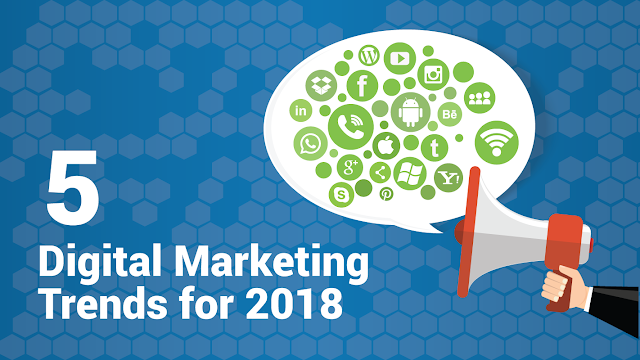 Digital marketing tools promise more for the client hence the rising popularity and extensive adaptation. Technology is the gift that keeps on giving. It is best to stay abreast.